We understand it can be a pain to keeping track of your ratings and reviews. And who wants to deal with some deranged customer that could be some disgruntled ex-employee causing trouble., eh– it can be easier to just to shut off your computer and ignore the whole thing. Pretending like it doesn’t exist, however, is not going to help. Not only will it hurt your business, you’re missing out on valuable feedback. Don’t you wish you really knew what your customers are thinking? There are some very vocal ones letting you and all your potential customers know. Make sure you are aware of all your ratings the main review sites. It’s 2018 and still, many businesses are not even aware of all the places that users are rating you and potentially talk smack about you. You can’t deal with it until you know about it. Not sure what all the main sites are? Keep reading. Claim/Verify/Optimize your Google My Business listing. Potential customers definitely turn to Google when looking for ratings/reviews. And the only thing worse than some bad reviews is not being listed in the first place. Getting a listing is uber important because not only does it allow customers to rate you, it ensures that people can find your business, location, and your basic information when they google you. There may already be some half-assed listing up there because some proactive employee put it up there 3 years ago. Hopefully, she’s still around so you can log into the account and respond to all the people complaining that you never replied to their questions. Ignore Yelp at Your Peril. Yes, you’re sick of Yelp. You think it’s a scam and you have to buy advertising to get any help. You know what else? Not only are your reviews up on Yelp, those same ones are up on Bing. Yup, Bing uses Yelp’s reviews. So stop complaining and make nice-nice with those users complaining that you are not good about accepting feedback. Assign at least one staff member to keep tabs on what’s going on and respond to questions/complaints. Your customers will accept that business’ make mistakes. What they want to see if that you care and what you are going to do to make it right. Make sure someone is there to do that. Oh, and make sure she keeps a list of the logins and passwords for each account in case she leaves. We had one client that could not respond to a scathing (and false) review because no one knew the login or password. Use a service/software that helps nudge customers to spread the word about good reviews and directs all complaints to go straight to you so you can deal with them before they go public. Try Birdeye or GFour. 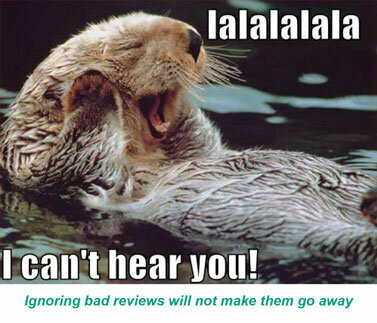 Prevent bad reviews before they happen. Before a customer leaves your store, office or before your service technician levels the customer’s home, say the following, “We aim for 5-star service. If you don’t feel you got that today, what can I do to fix that?” And then empower your employees to fix it. Follow these tips and instead of getting a headache as you read your reviews, it will a relaxing experience– like you’re at a 5-star spa. 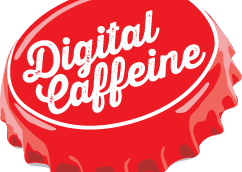 Looking for other digital marketing tips to improve your business? Sign up for a free 30 minute consultation. Ask us anything you want. No matter how crazy the questions, there will be no laughing, no judging, no kidding.